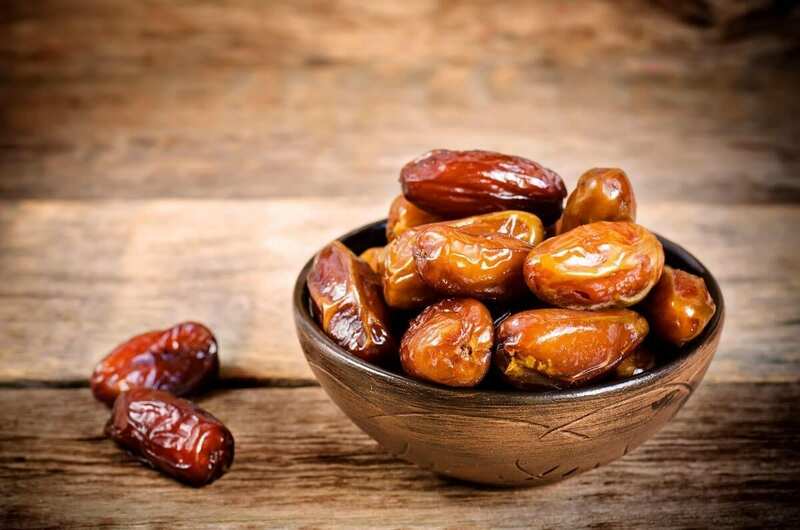 Dates are one of those underrated fruits which are now becoming hugely popular again due to tonnes of new and improved recipes currently out there. Plus, people are waking up to the amazing health benefits of these sticky-sweet treats. Dates are wonderfully versatile, they go with savoury and sweet foods, and can work for any meal whether it’s breakfast lunch, dinner or fancy aperitifs. They can be added to puddings, biscuits, used in stews, stuffings, salads or my all time favourites: Smoothies! 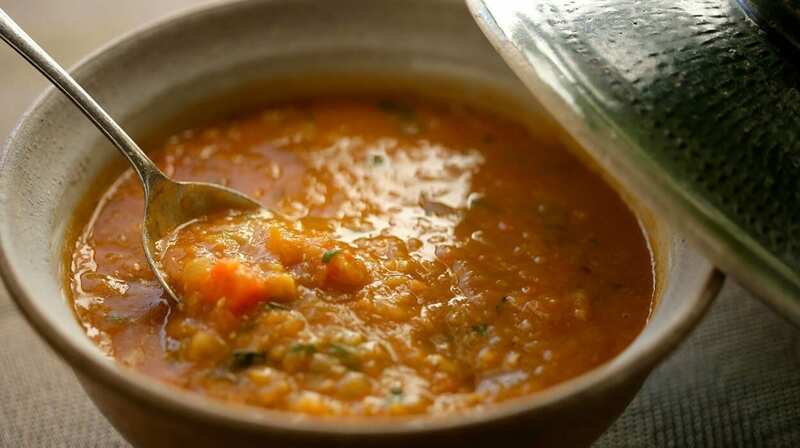 Our first mouth-watering recipe comes from taste.com.au and was created by Jill Dupleix. Cut a slit along the top of each date, then remove and discard the seed. 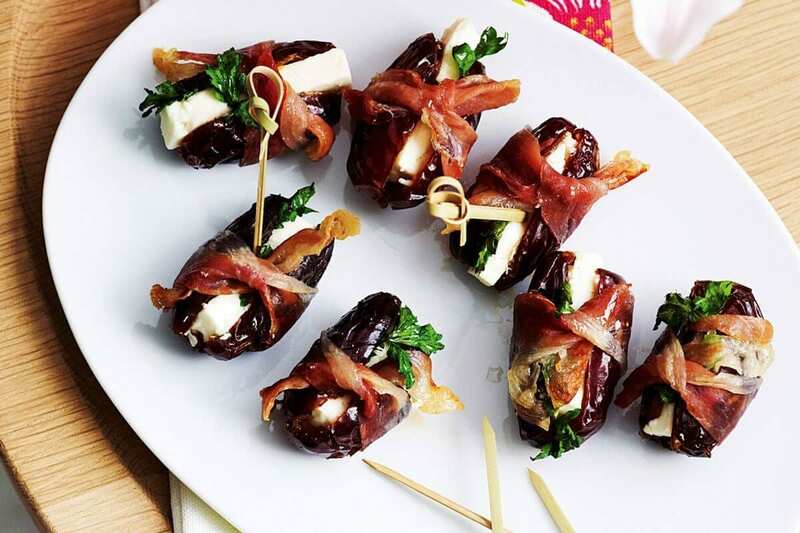 Tuck a parsley sprig and feta slice into each date and gently squeeze closed. Wrap a prosciutto strip around each date, and tie off with a knot, trimming the ends so they sit upright. Place dates on a baking tray, drizzle with oil and bake for 5-8 minutes until warmed through. Spear each one with a skewer and serve. 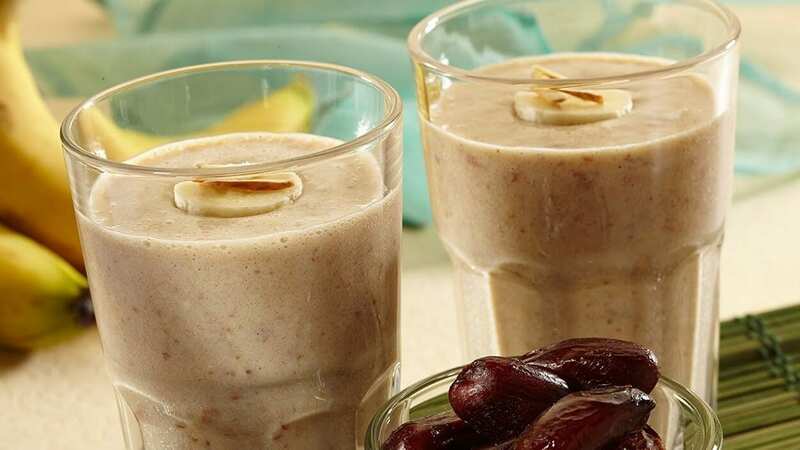 For a glorious morning recipe, we highly recommend this banana-date smoothie which is hugely popular with vegans, sports people and celebrities alike. It’s the best way to get your morning energy boost, nutrients and hydration. Oh, yeah, and it’s delicious. Note: If you want your smoothie less milky and more watery, just replace 1 cup of the almond milk with water. Moving on to the perfect autumn supper, this next recipe is a strictly vegetarian stew with the sweet and sour flavours of dates and tamarind and the warm heat of freshly ground cumin. Heat a frying pan and dry fry the cumin seeds until fragrant. Grind in a spice blender, or grind in a pestle and mortar until smooth. Set aside. Add the oil to the frying pan over a medium heat and fry the onion and garlic for about four minutes, or until softened. Add the ginger and cook for a further two minutes. Add the lentils, ground cumin, bay leaves and stock. Stir in the tamarind paste and bring to boil before reducing the heat to a simmer for 30 minutes, or until the lentils are soft. Five minutes before the end of cooking time stir in the dates. Note: If you want to get extra fancy, serve the lentil stew with pomegranate seeds, mint and watercress alongside flatbreads. Bring dates and bourbon to a simmer in a small saucepan. Cook until almost all of liquid is absorbed. Remove from heat; cover and let cool. Preheat oven to 325 degrees. Butter a 9-inch springform pan. Line bottom with parchment; butter parchment. Dust pan with cocoa, tapping out excess. Melt butter and chocolate in a large heatproof bowl set over (not in) a pan of simmering water, whisking until smooth. Remove from heat. Whisk in 2/3 cup date puree. Let cool; whisk in egg yolks, coarse salt, and cinnamon. With a mixer on medium-high speed, whisk egg whites until soft peaks form. Slowly add sugar, beating until stiff peaks form. Fold one-third of whites into chocolate mixture, then fold in remaining whites. Transfer to prepared pan. Bake cake until set (it should be cracking a bit on edges and shiny in center), about 30 minutes. Let cool completely in pan on a wire rack. Run a paring knife around sides; remove from pan. Bring sugar and 1/4 cup water to a boil in a small saucepan over medium-high heat, stirring until sugar is dissolved. Let boil, without stirring, until deep golden brown, swirling pan to colour evenly, and washing down sides of pan with a wet pastry brush to keep crystals from forming, 10 to 11 minutes. Turn off heat; carefully pour in cream (it will spatter), stirring to combine. Stir in remaining 1/3 cup date puree. Pass caramel through a fine sieve to remove lumps. Let cool until thick but pourable, about 30 minutes. 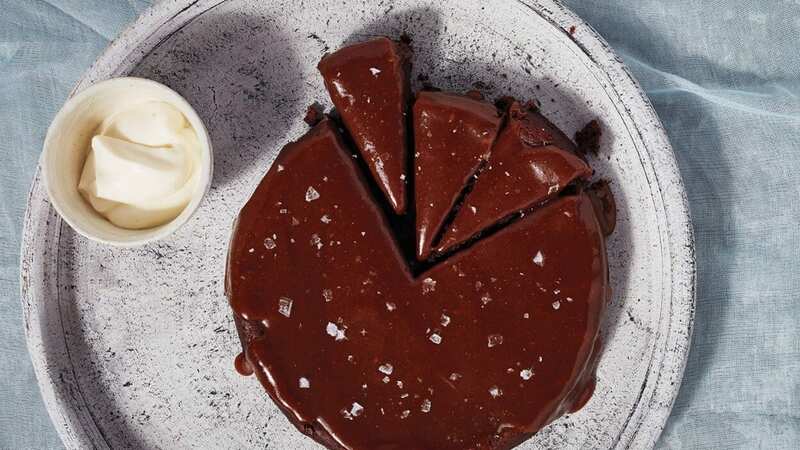 Serving: Pour caramel over cake and spread so it drips over sides. Sprinkle with flaky salt. Cut into wedges with a hot knife, wiping knife between cuts; serve with whipped cream. At The School of Natural Health Sciences we offer over 55 courses in holistic health therapies, four of which are nutrition based – Clinical Nutrition, Advanced Nutrition, Child & Adolescent Nutrition, Sport & Exercise Nutrition. Our diplomas are internationally-recognised in 26 countries, so it doesn’t matter where you are in the world, there’s a subject suitable for you. All of our schooling is done online, so there is no stress, no deadlines, no commute and no start up expenses! True holistic education!